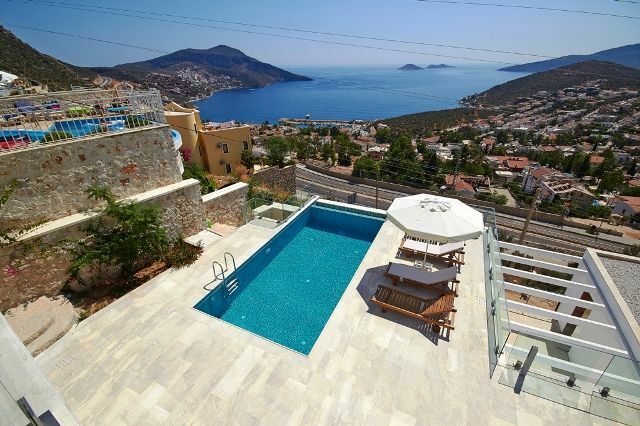 Impressive Kalkan villas for sale furnished with sea views. 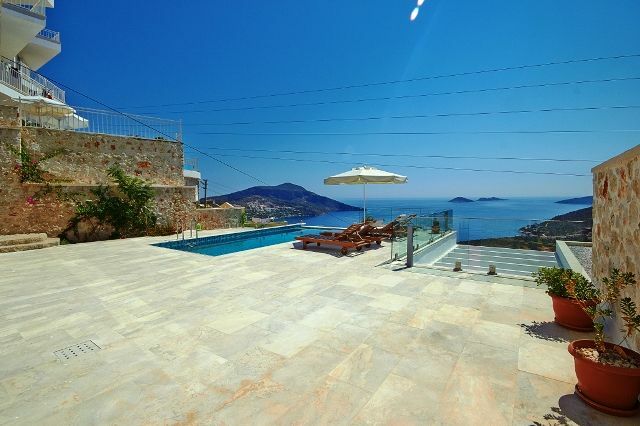 Turkey Property for sale Kalkan. 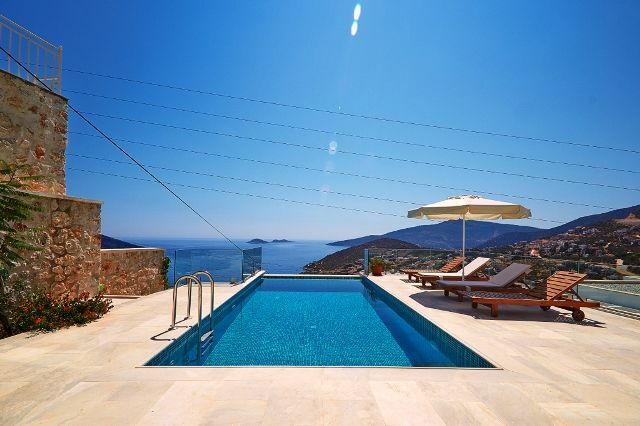 These brand new modern designer elite Kalkan villas provide maximum luxury homes with magnificent sea views , private swimming pool with jacuzzi and extensive terraces . Open gallery . 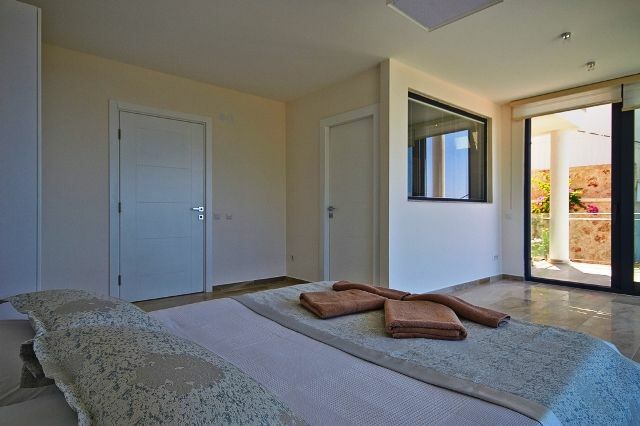 Large living room furnished. Family bathroom suite. 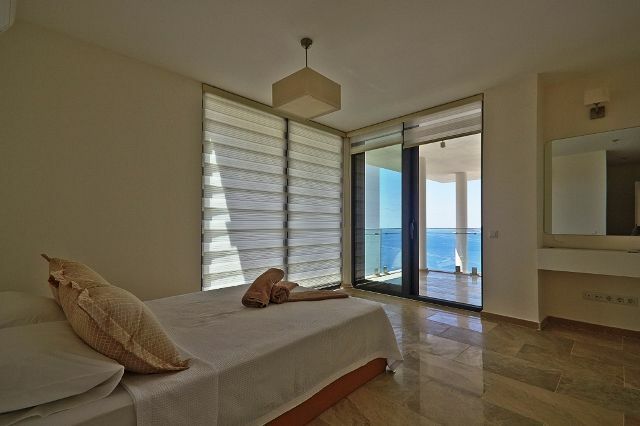 Large luxury fitted en-suite twin bedroom with dressing room . 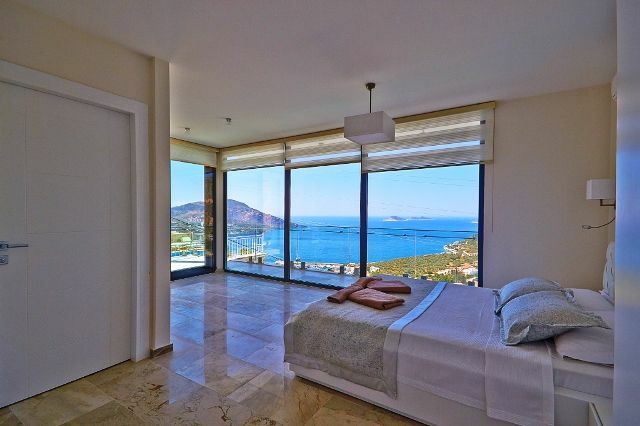 Balcony with spectacular sea views . 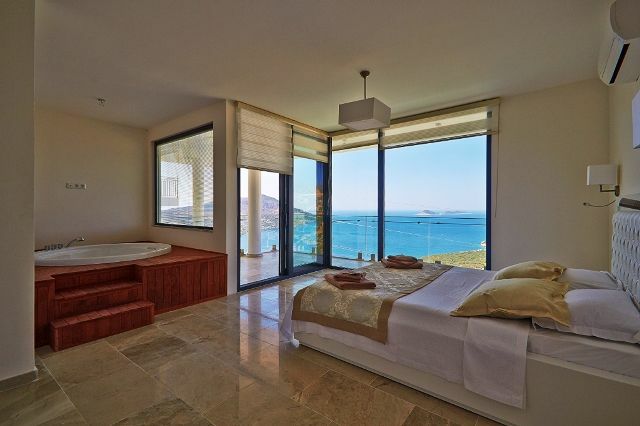 Master en-suite bedroom with jacuzzi and dressing room . 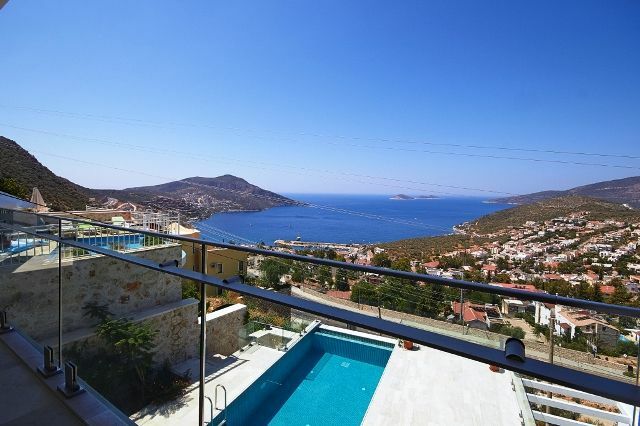 Balcony sea and marina views . 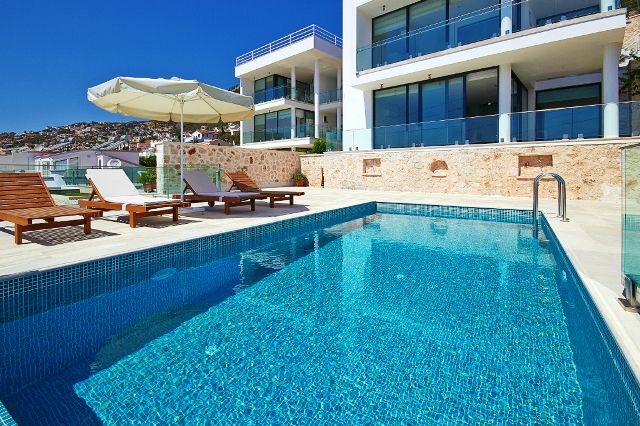 Further double bedroom with en-suite facilities and balcony .